Keith Powell plays 30 Rock’s Toofer on the NBC sitcom. He’s one of the comedy writers on “TGS,” the show-within-the-show.His nickname refers to his position on the staff: he’s both a Harvard grad and a minority, hence a two-for-one hire for human resources. That said, however, Toofer gets no respect, no respect at all. Powell himself, however, gets plenty of respect. He founded the Contemporary Stage Company in Wilmington, Delaware, and has produced, directed or performs in plays starring Lynn Redgrave, Jasmine Guy, Keith David and Sean Patrick Thomas. 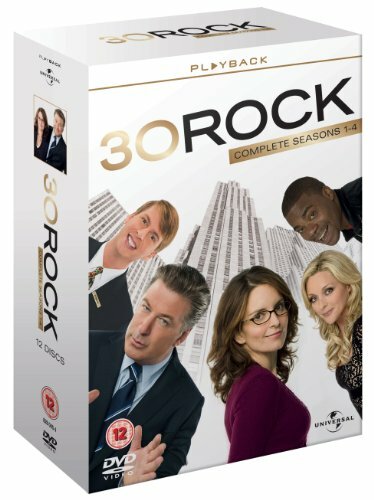 Order ’30 Rock’ – Season 1-4 (2010) Alec Baldwin; Tina Fey, available right now at a great price by clicking on the DVD box set above! “My name is Keith Powell. I am an actor, therefore I must have a website. Because that’s what important actors have. And I’m important. I’m told. “This site shall be an ode to all things me. See that picture on the right, there? Me. Click on Photos. Lots of me. Bio? Me me me. Videos? All things starring me. Contact? Why, e-mail me, of course. “30 Rock,” which airs Thursdays at 8:30 p.m., is now in its fifth season of tweaking the Peacock network and now its new owner, Cabletown. It’s full of inside TV, media and pop culture gags and who doesn’t love that?